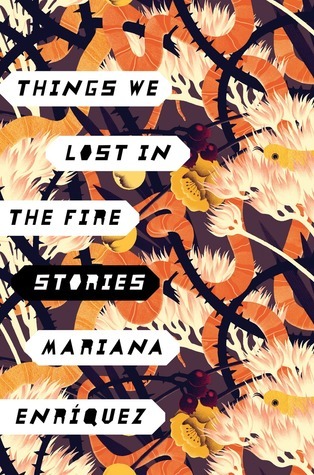 This entry was posted on Tuesday, February 21, 2017 and is filed under Argentina,Book Review,Fiction,Mariana Enriquez,Myth,Short Story,Slums,Things We Lost in the Fire. You can follow any responses to this entry through the RSS 2.0. You can leave a response. This sounds intriguing. I often enjoy these types of collections and you have me curious. If you like ghost stories, you'll love this. I don't usually read anthologies and I can't remember the last time I did, but this sounds fascinating and literary - and anything to do with myth and the supernatural intrigues me! I used to be in the same boat. The more I've read anthologies, the more I've grown to appreciate them. Maybe this is what I need because I have been having a very slow reading month this month. Perhaps this is what I would need to pick things up a little bit for me!